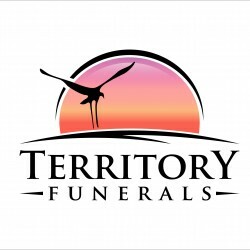 Territory Funerals is an Australian family-owned and operated funeral business located in Darwin in the beautiful Northern Territory of Australia. Territory Funerals directors, Robert and Michelle Murphy have over 24 years experience in the funeral industry and pride themselves with providing the highest standards of personal service and care ensuring each family feels safe and supported at all times. We understand the importance of not feeling rushed and wanting to take the time to get all the information you need to make an informed decision about how you want to say goodbye to your loved one. Our Funeral Directors here in Darwin are committed to ensure that each funeral service is tailored to personally celebrate the life of that person. Also meeting the family needs through the highest levels of care and compassion and providing a funeral service that is affordable. Families can have the funeral director come to their homes for their initial visit to ensure they feel comfortable in their own environment instead of our office. We want families to know we are available to visit them at home so as to reduce the stress of having to go somewhere else. Taking the time in the family home gives them the chance to find photos they want to use in the memorial slide show and finding clothes to dress their loved one.